Mmmm . . . turkey. Beer and Wine Journal is mostly about brewing, with a little winemaking and mead making content thrown in. But we also run the occasional story about food. Last year, I posted one Thanksgiving beer recipe (Cranberry Zinger) and one beer recipe that uses a typical Thanksgiving ingredient (Sweet Potato ESB). We also have a Pumpkin Beer recipe, if that’s your thing. 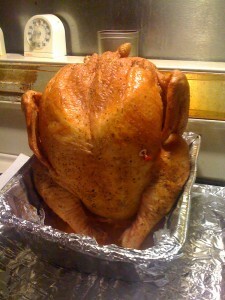 I also posted a variety of Thanksgiving food recipes, which I summarize here.